In a nation as devout and as racially divided as the United States, one question to ask might be: What role does religion play in our race issues? 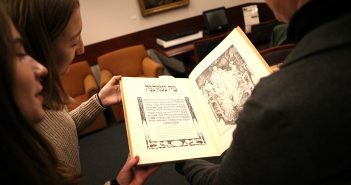 The event was sponsored by the Center on Religion and Culture. Fordham’s Aimee Meredith Cox, Ph.D., an assistant professor of anthropology, moderated. Willie James Jennings gave the keynote. 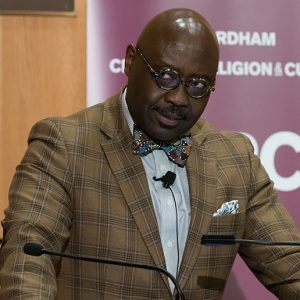 In his keynote address, Willie James Jennings, Ph.D., associate professor of systematic theology and Africana studies at Yale Divinity School, said that the evening’s conversation comes at a critical moment for the nation. With regard to American religion, Jennings said the whitewashing of Christianity developed the moment that European settlers took land from the First Nations and claimed it as their own. “You can’t understand religion in America without understanding the taking of land,” he said. While some Americans might find President Donald Trump’s pronouncements “goofy,” he said, others hear the “word of God.” To fully understand this, one must engage his supporters at their level of faith. Jennings said that for some, a vote for the president was an “act of love” based on strongly held religious beliefs, particularly conservative Christian beliefs. 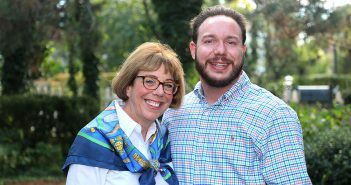 Jacqueline Lewis, Ph.D., senior minister at Middle Collegiate Church in Manhattan, made a point of using Jesus’ Aramaic name, Yeshua, in speaking about his beginnings and his true Christian message. She said that Yeshua was born of a homeless, brown-skinned, unwed, Palestinian Jew and was adopted by a poor carpenter. Jennifer Jones Austin, LAW ’93, CEO of the Federation of Protestant Welfare Agencies, noted that such histories and perspectives are lost on many Americans who have been failed by the public education system. She said that small, mostly private liberal arts colleges might teach critical thinking skills, but the majority of Americans might not learn such skills until graduate school. As such, educational institutions are also inherently a part of the race problem, said Darnell L. Moore, writer-in-residence at the Center on African-American Religion, Sexuality, and Social Justice at Columbia University. “[In college and graduate school,] I had to struggle to find black and queer theologians,” he said. Moore said that all institutions, including universities and religious establishments, must look to systemic change in order to commit to a more just, greater good.